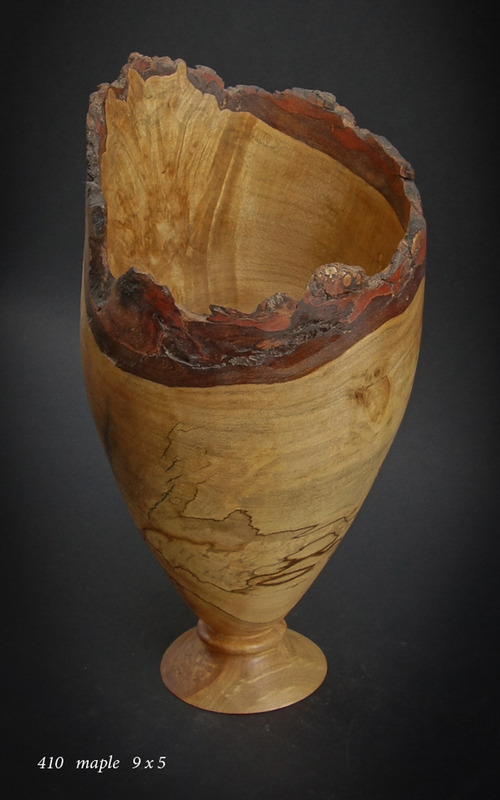 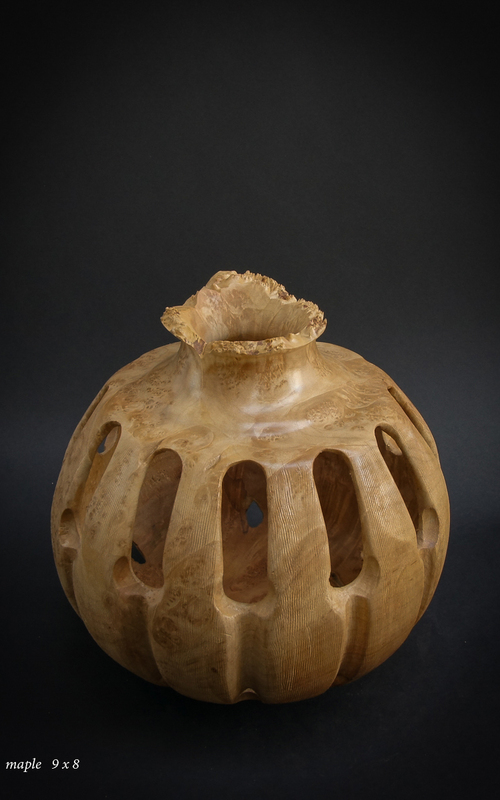 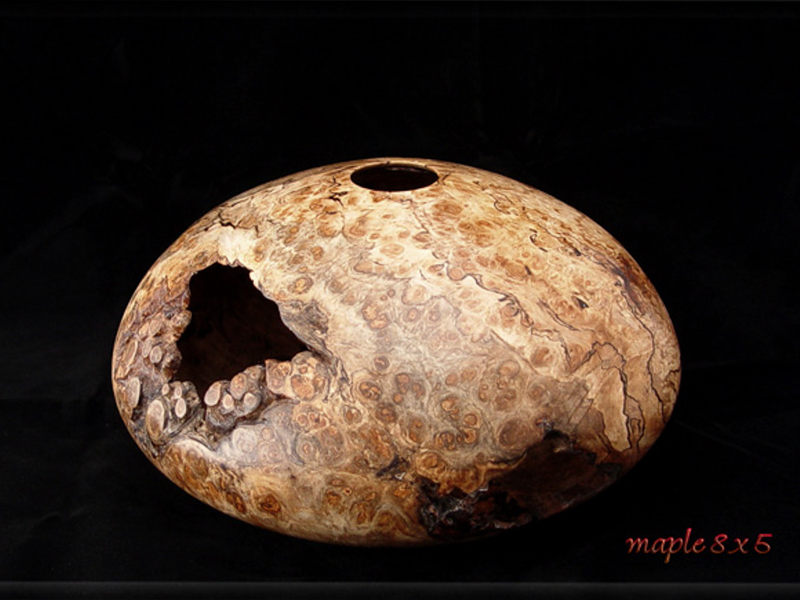 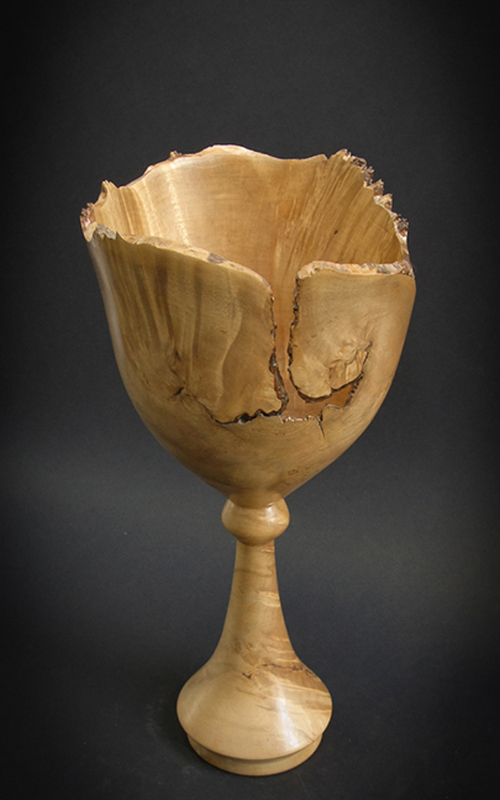 These pieces were made from maple burl. 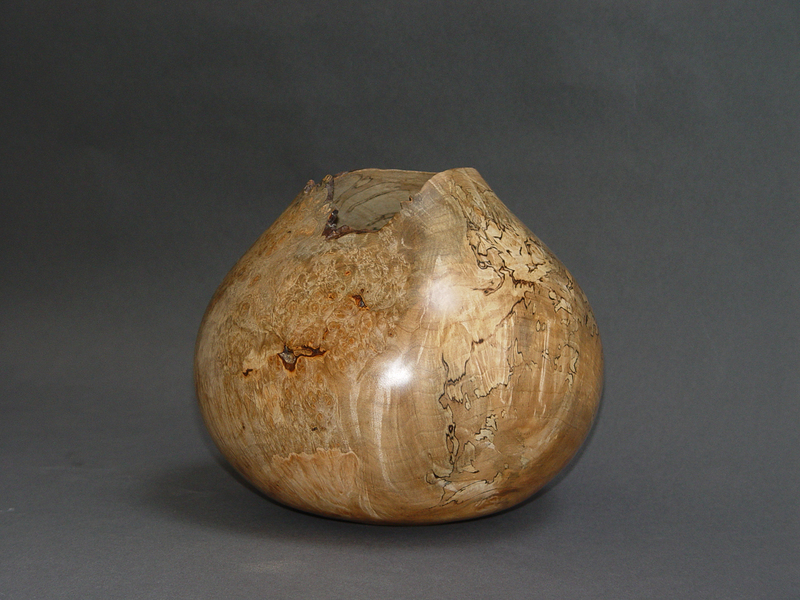 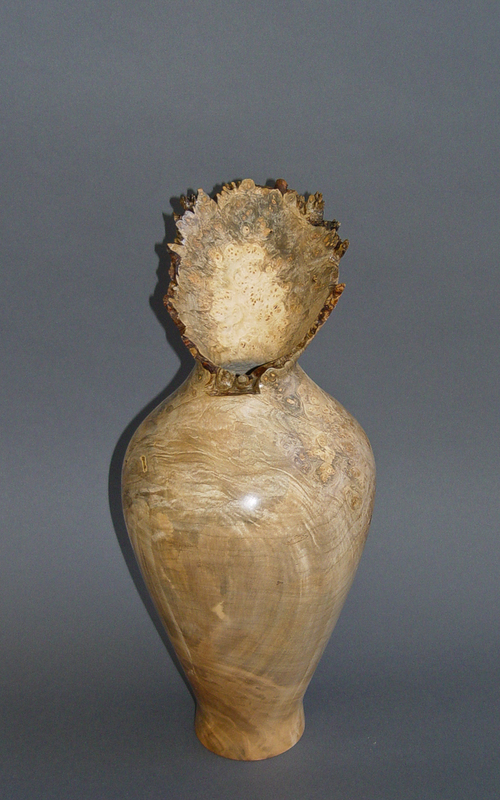 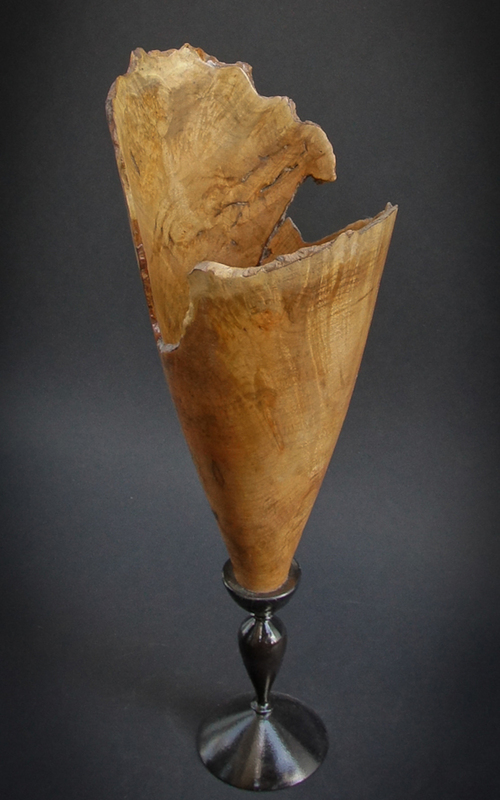 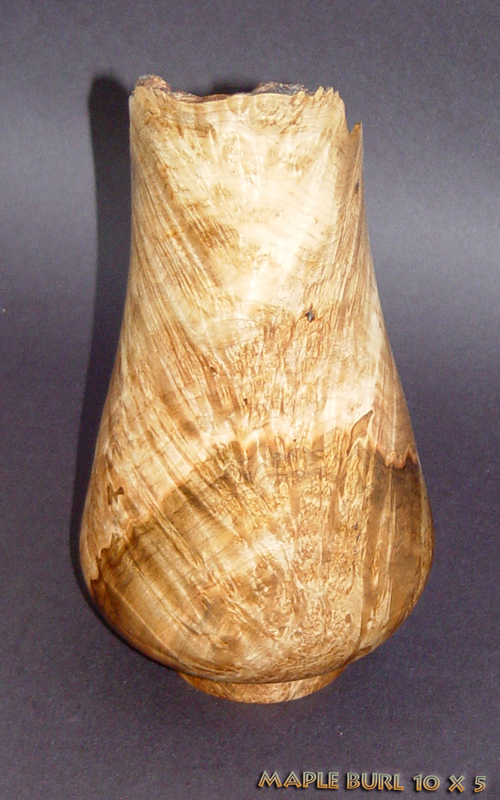 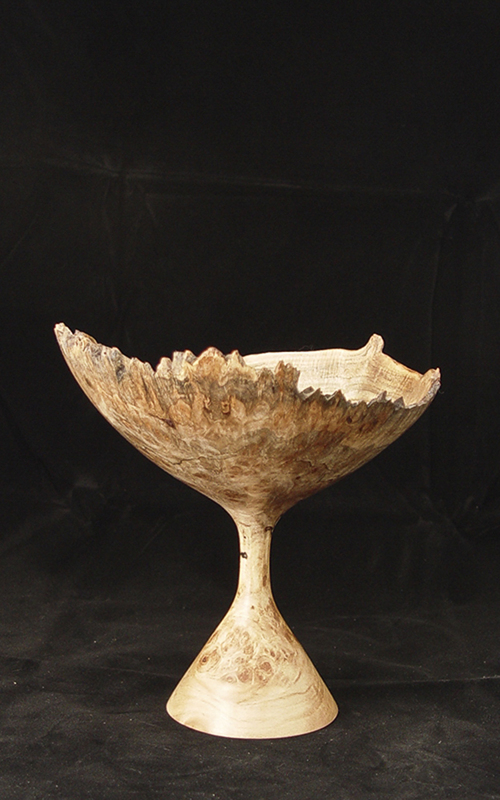 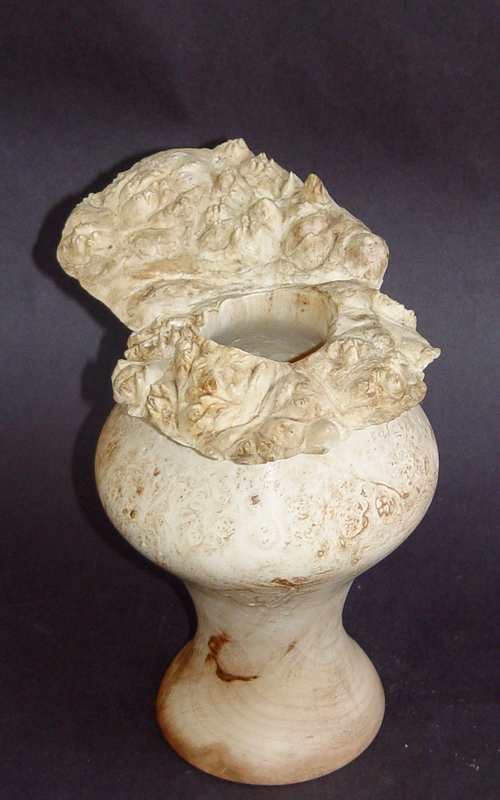 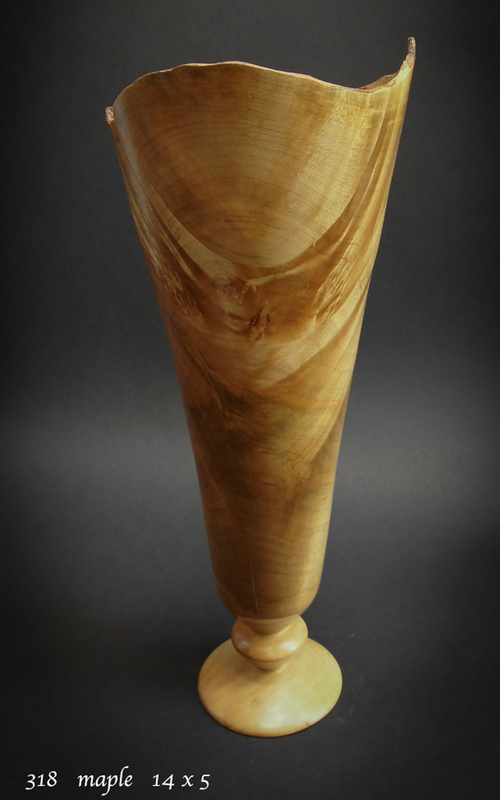 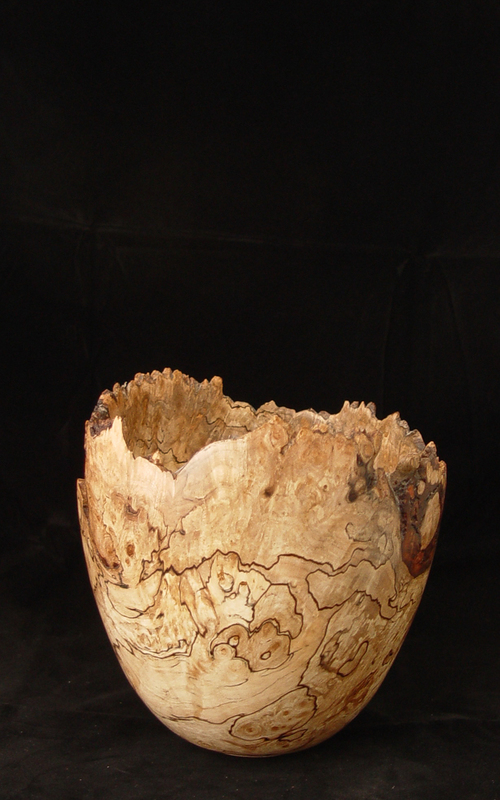 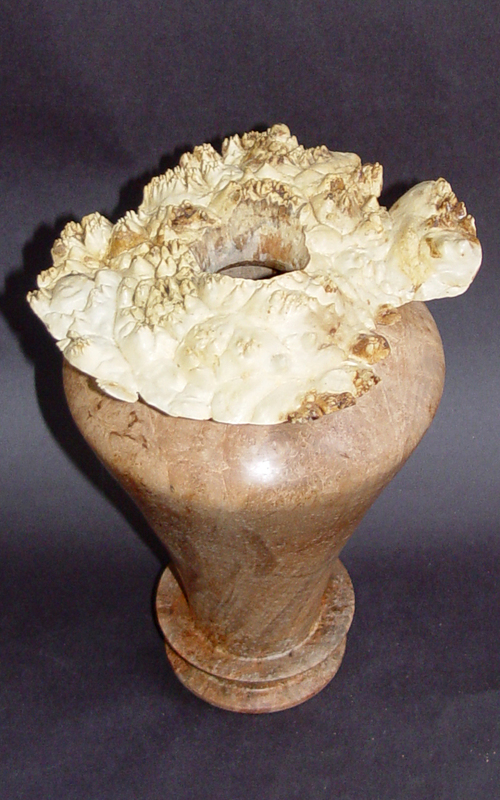 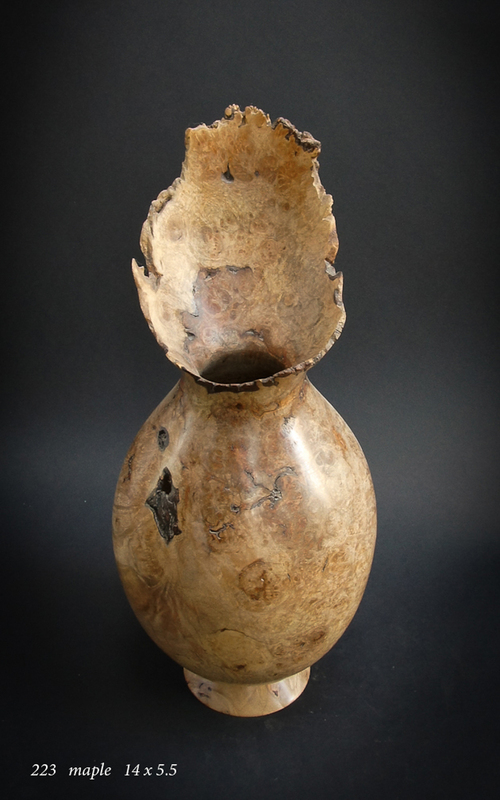 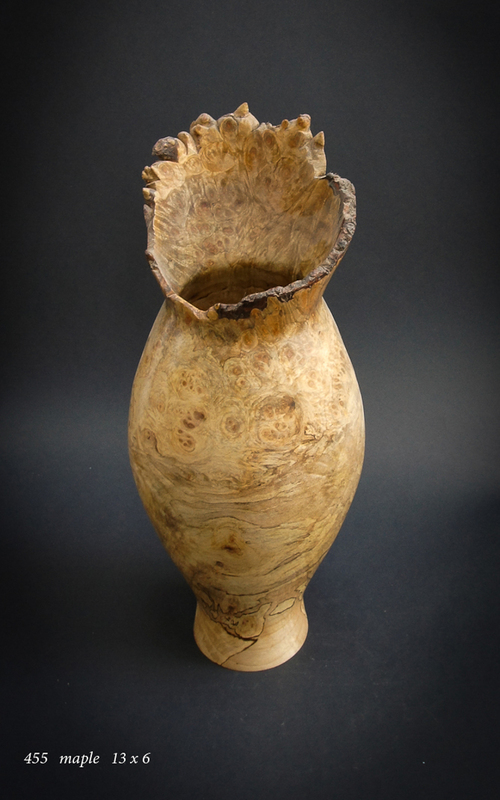 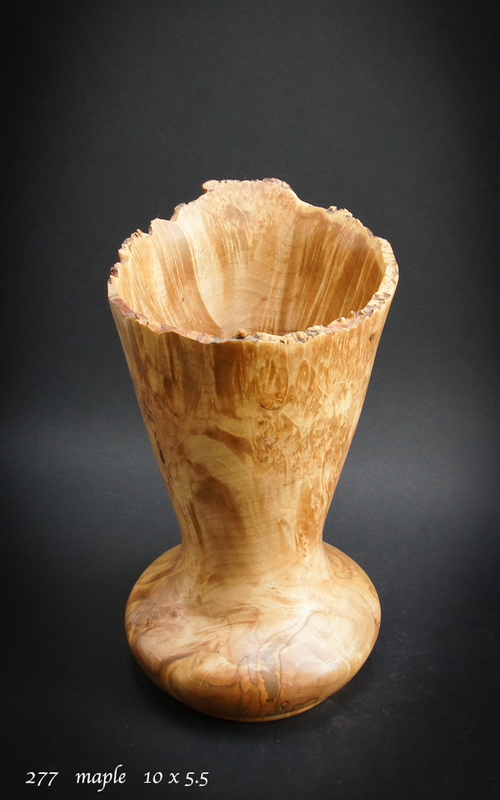 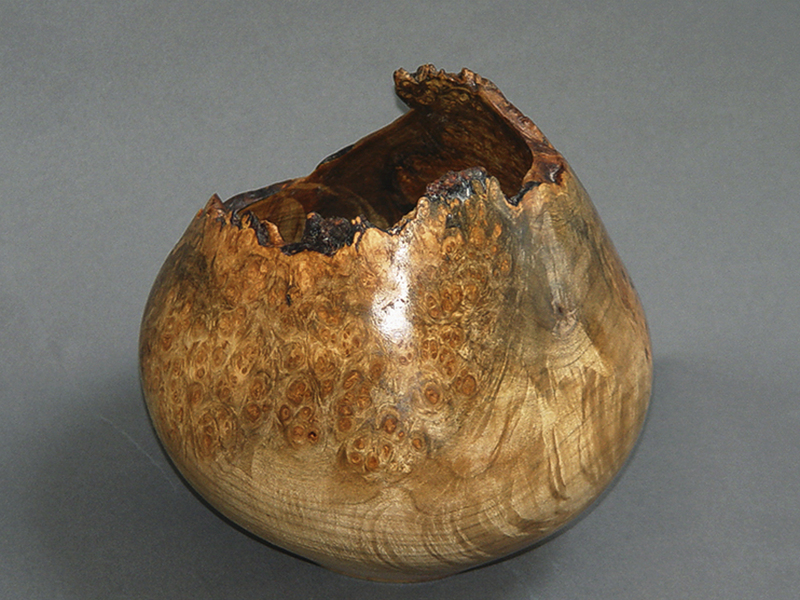 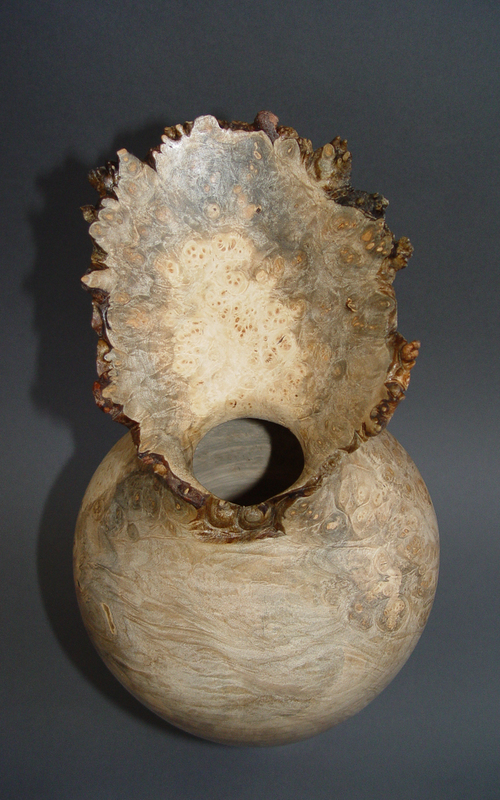 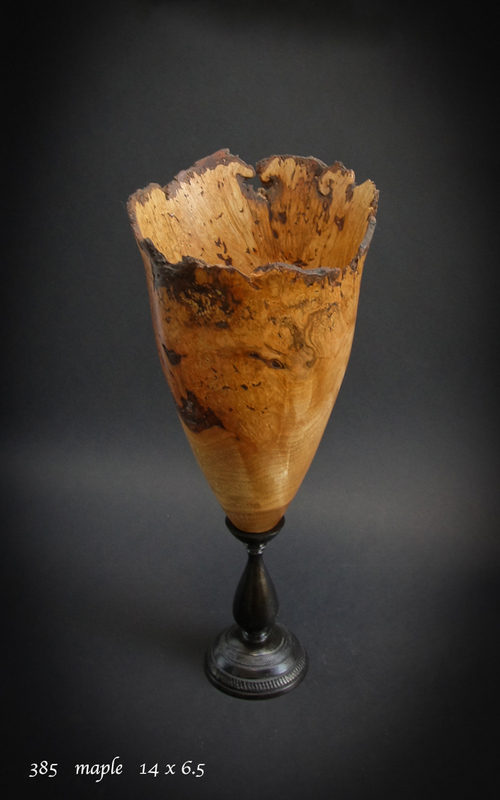 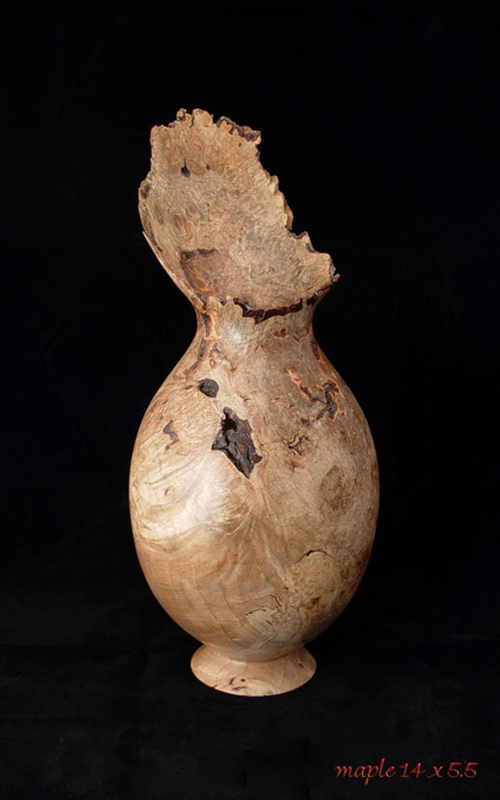 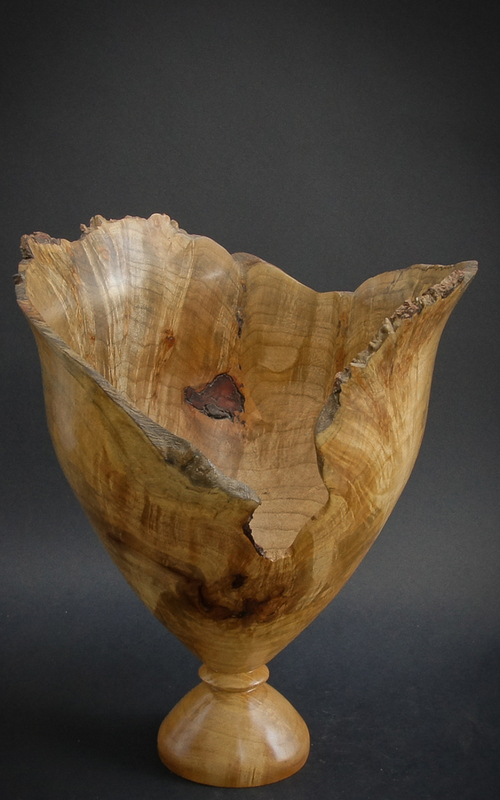 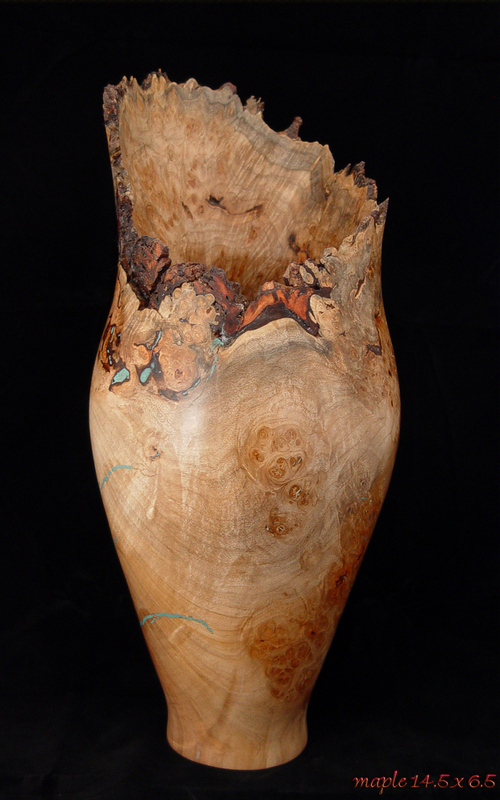 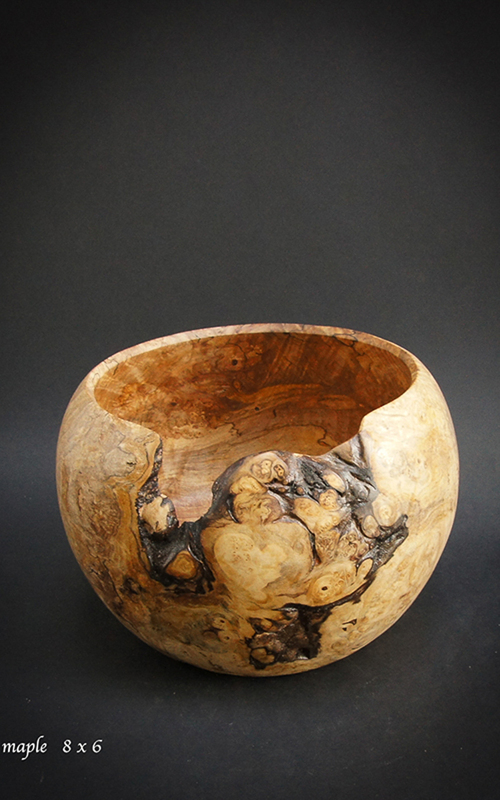 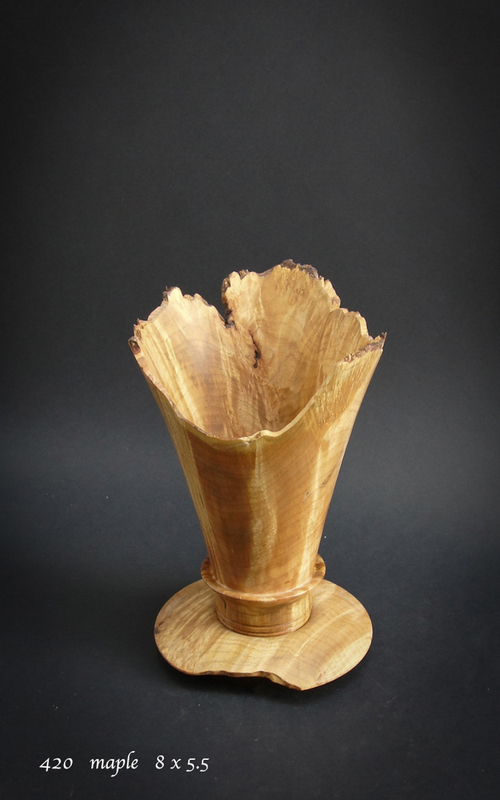 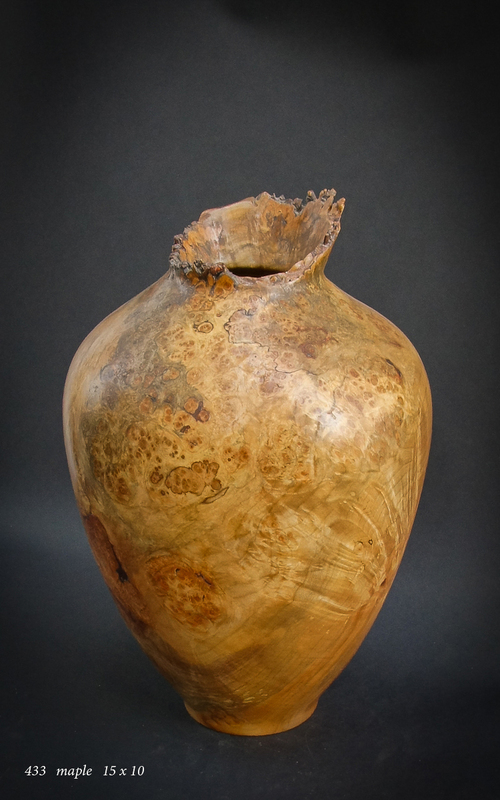 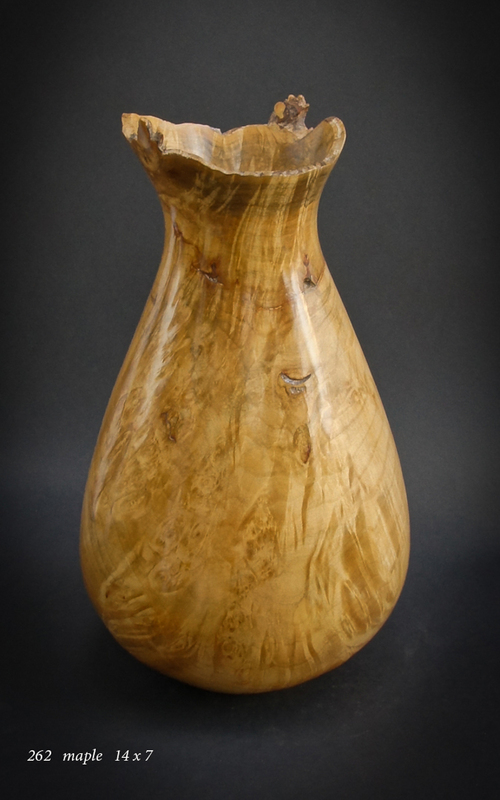 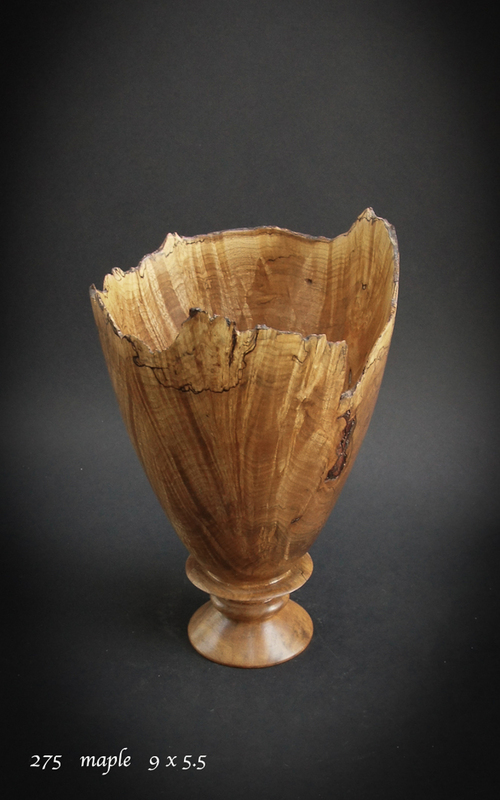 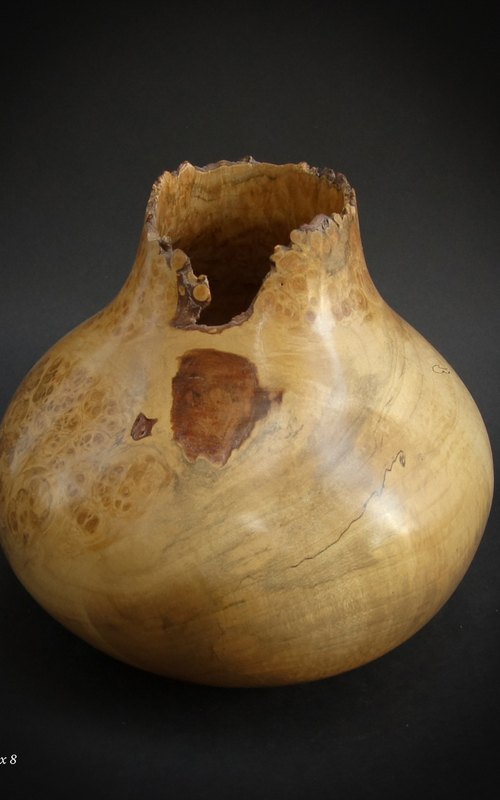 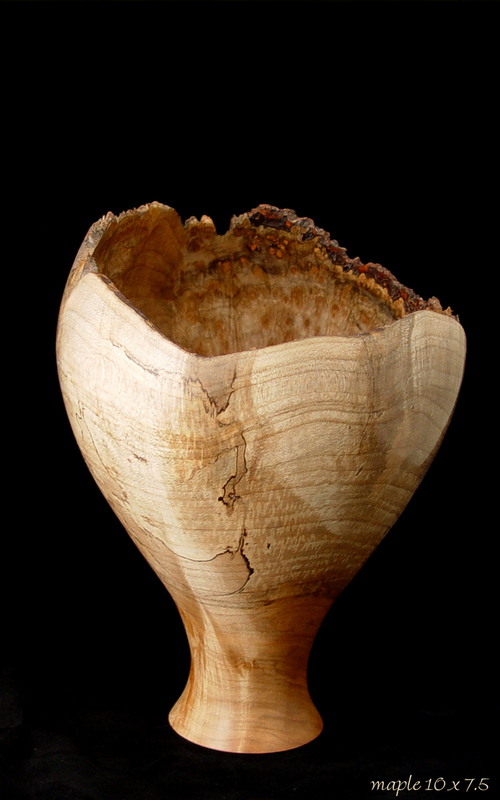 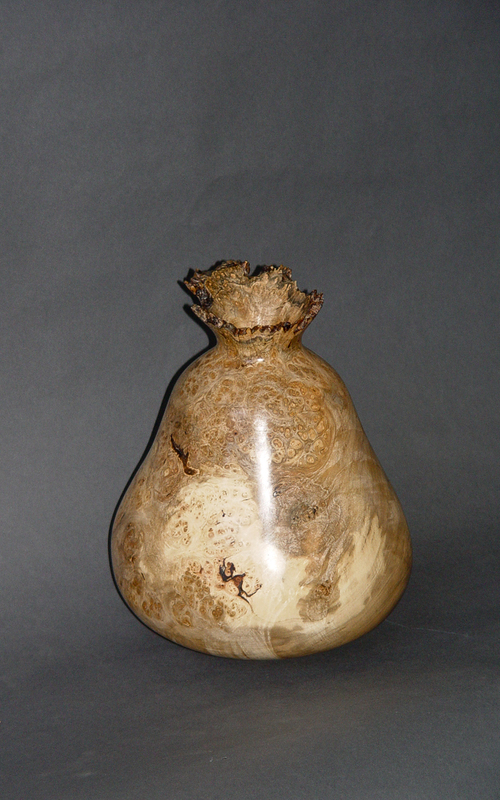 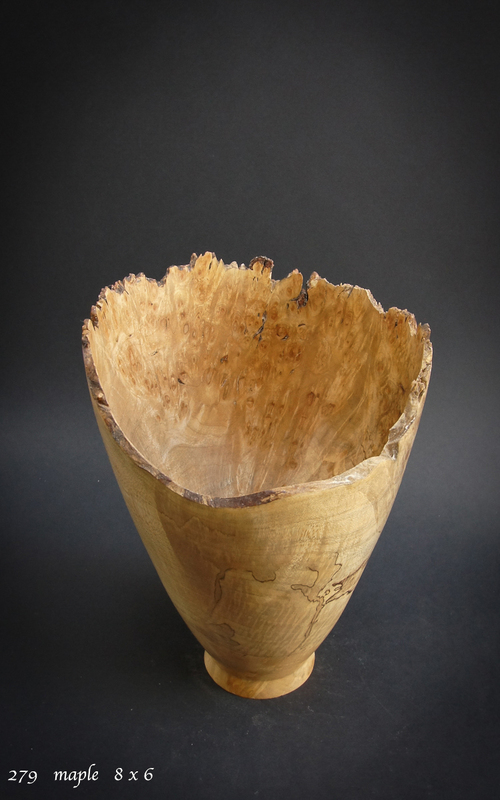 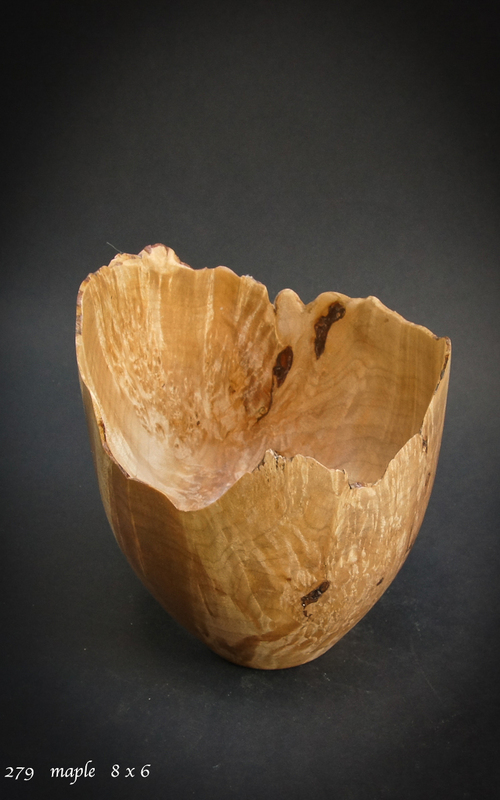 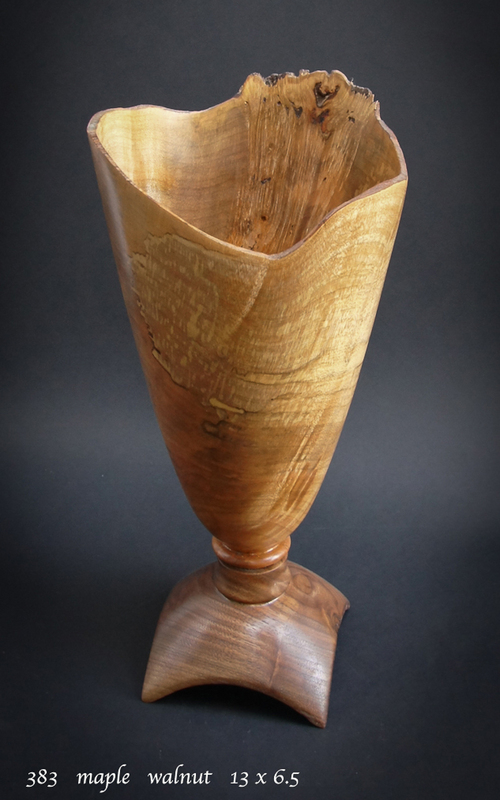 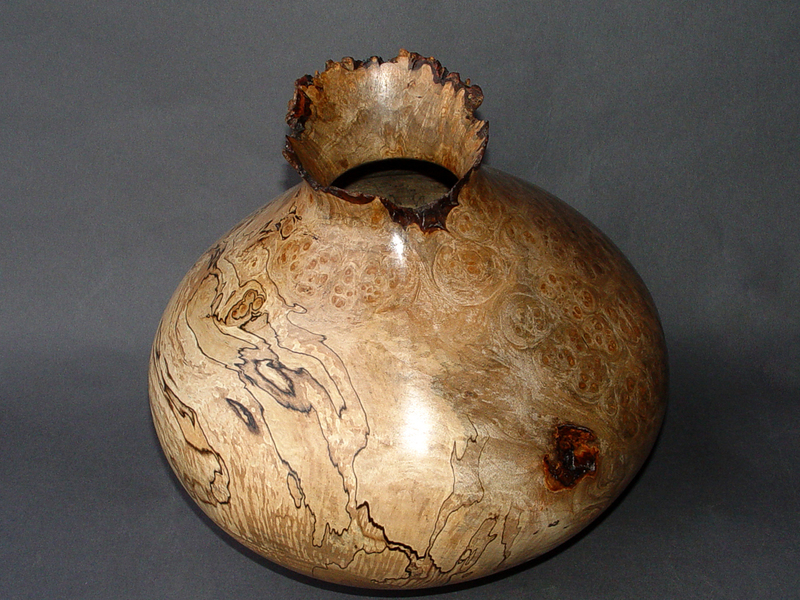 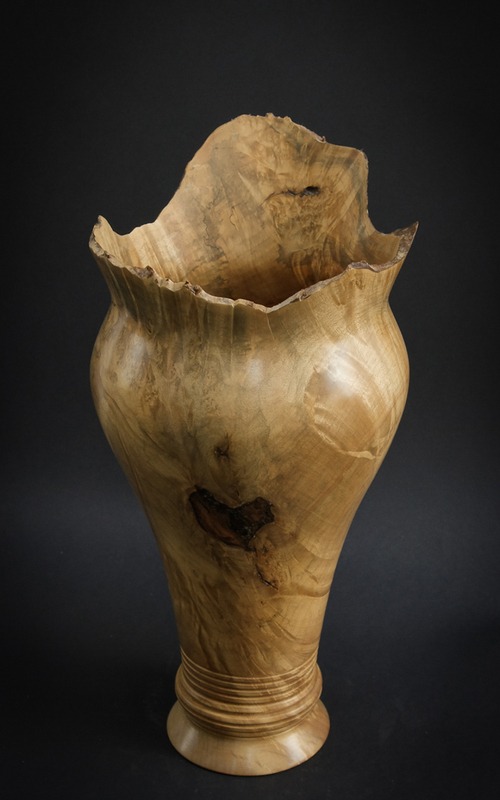 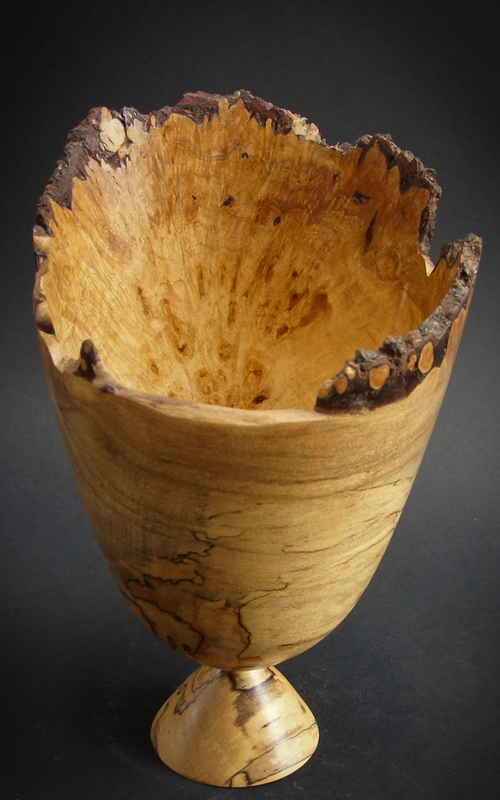 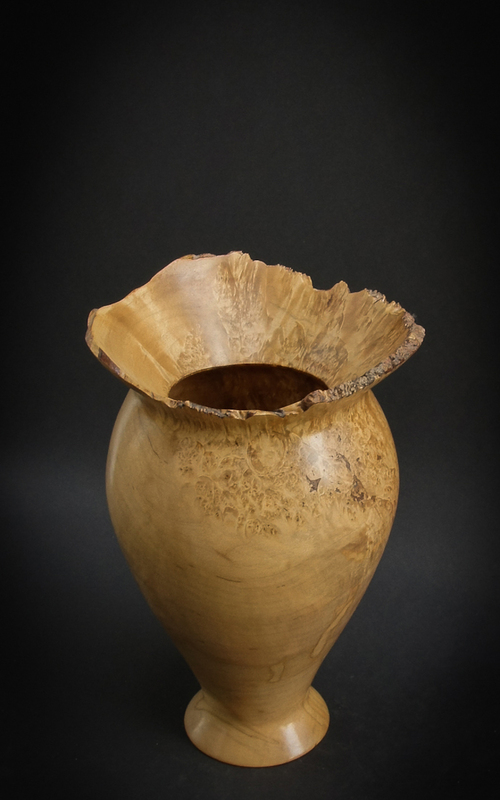 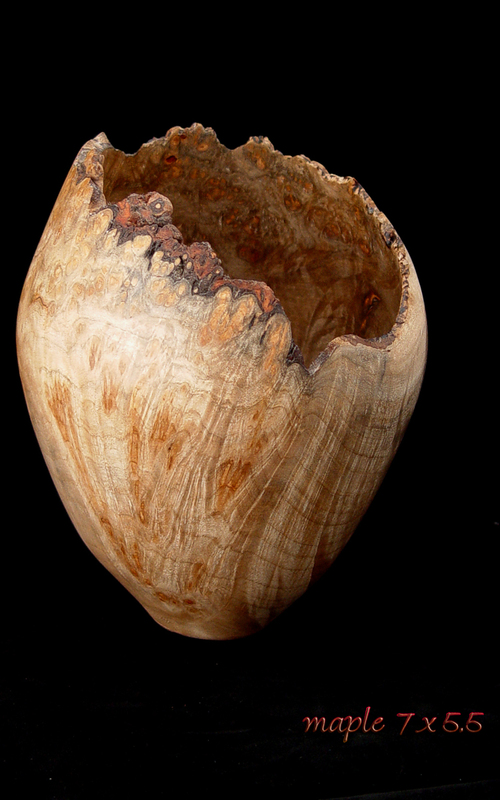 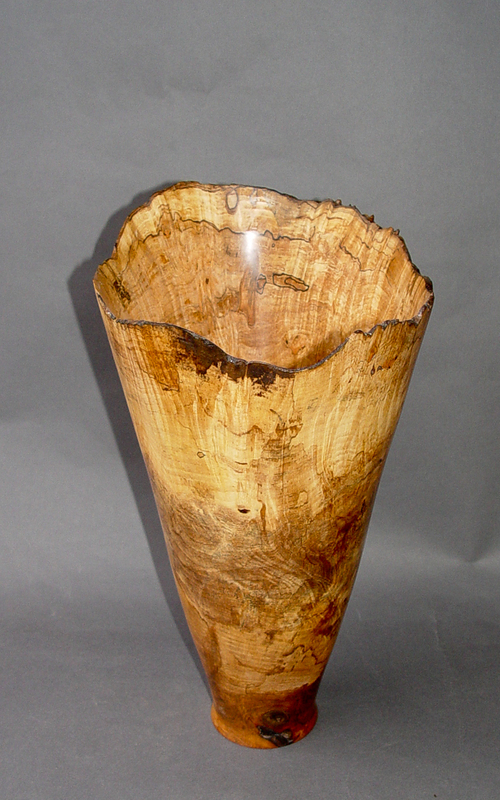 You can see the beautiful burl figures combining with natural edge spikes. 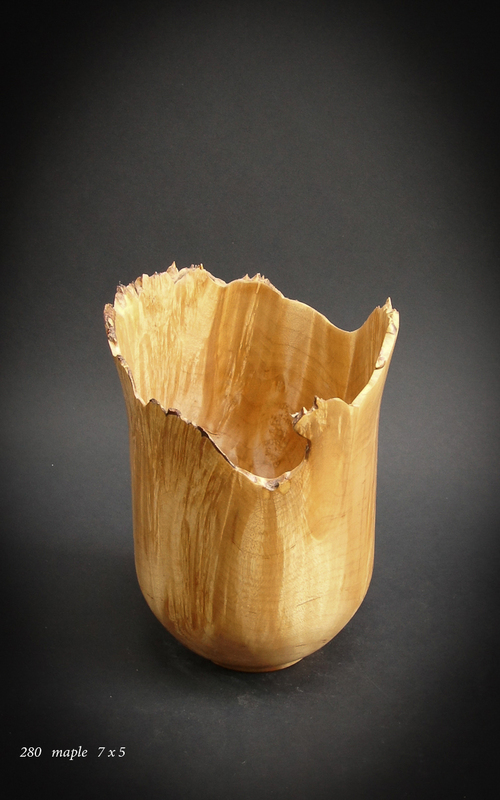 These pieces range from simple bowls to deep hollow pieces with small openings.